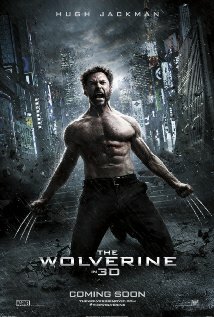 Kingman Historic Theatre: The Wolverine will be showing at the Kingman Historic Theatre! This will be our last 35 MM print! The Wolverine will be showing at the Kingman Historic Theatre! This will be our last 35 MM print! This weekend the Kingman Historic Theatre will be showing The Wolverine at 7:30 P.M. on Friday, August 23 and Saturday, August 24 and at 5:00 P.M. on Sunday, August 25. This movie is rated PG-13 and Hugh Jackman, Tao Okamoto, and Rila Fukushima. Check out the The Wolverine trailer.